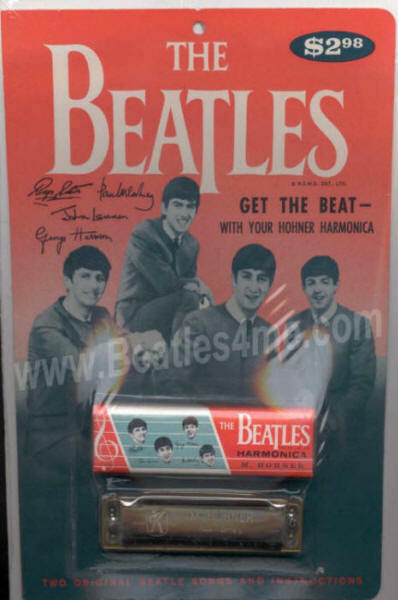 Incredibly Rare set of items that make up this Beatles Harmonica Collectibles Package. Everything is here! (Hohner Harmonica, Beatles Harmonica Box and Music Book/Header Card, AND the plastic blister bubble that held the Fab 4 harmonica & box to the booklet.) Version 1 w/Paul & George's faces over wrong names. Incredibly RARE Memorabilia Piece from 1964! The 4 grades provided are for the following: Header Card/Plastic Blister Cover/Harmonica Box/ Harmonica.